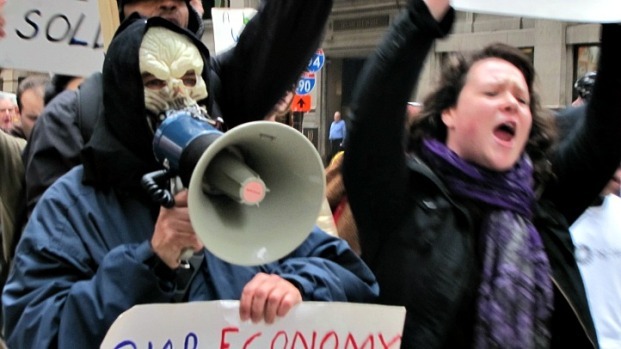 The Occupy Chicago movement's new allies have the big guy in their corner. Local clergy announced Wednesday they are backing the anti-Wall Street protesters and are denouncing any future attempts by local authorities to violently crack down on the movement, pointing to events in Oakland. A group of Jewish and Christian leaders will deliver a petition to Mayor Rahm Emanuel Wednesday morning calling for authorities to respect the protesters' freedom of expression. 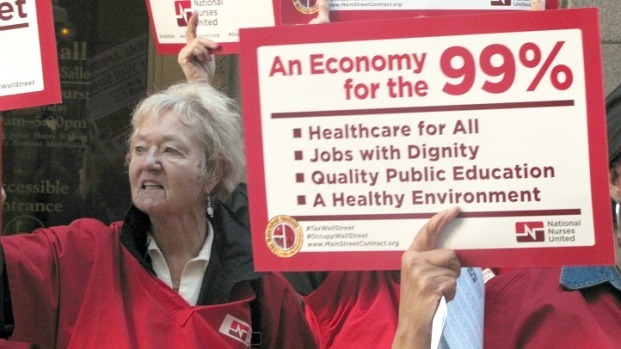 "As people of faith, we condemn all violence and repression targeting the Occupy Wall Street movement. In communities across America, occupiers are providing a peaceful witness against corporate greed and economic injustice." The Occupy Chicago protest, now in its sixth week, has called for a student walk out Wednesday at Columbia College, UIC, DePaul and Northwestern. The measure is part of an "International Day of Action" and a means of showing solidarity with Occupy Oakland protesters who faced a violent police crackdown last week. On two occasions, Occupy Chicago protesters have attempted to set up a permanent home in Grant Park, prompting police to arrest about 300 people in two separate sweeps.